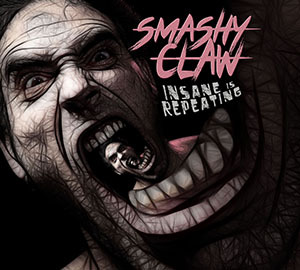 Welcome to the brand new Smashy Claw website! I think we can officially call ourselves a real band with a site this fancy. Gosh, it’s almost TOO fancy in here. I’m starting to feel a bit uncomfortable… (I belong, I belong, it’s okay, I fit in). Alright, I think we’re good now. So yeah, take a look around at all the newness, there’s tons of stuff that our old space didn’t have. For example: there’s now a page specifically for shows, a place to learn what Smashy Claw is (if you still aren’t sure), and a big music section. This list of features will continue to grow as we fiddle around with our shiny new toy. A huge amount of thanks is extended to our pals at Nuclear Bubble Wrap, who are hosting this whole thing on their server. Please take a moment to give them some awkward applause as you sit alone at your computer. They’re a swell group of humans, they deserve your admiration. Also, go check out their music… we like it. So go forth, my children, bask in the luminescent glow of our fantastic new website!